This drink not only looks super yummy, but its name gets me excited. I can only imagine the explosion in my mouth & my tastebuds partying with this fab drink. Muddle slices of mango & passion fruit with simple syrup. Combine all other ingredients into a shaker with ice & shake well. 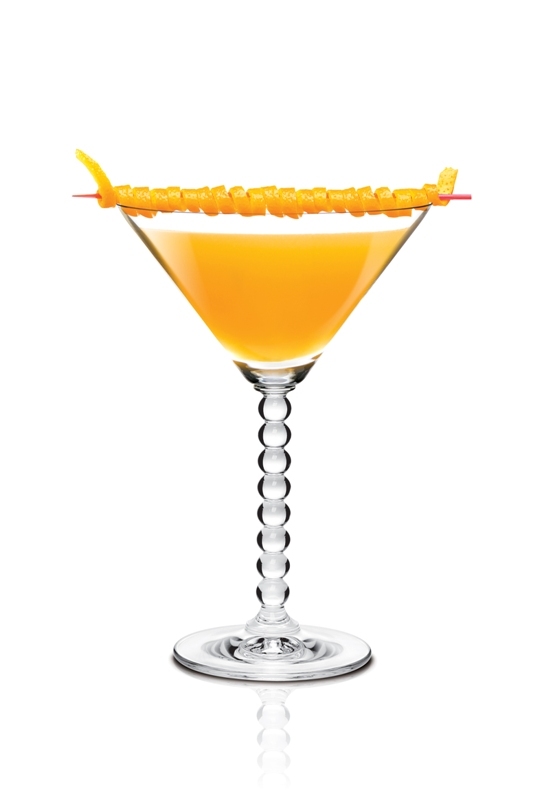 Strain into a chilled martini glass & garnish with an orange twist.